Custom Cactus can provide you with a fine selection of unique and different cactus and succulents, as well as answer your questions about care and nurturing of your own "pet"! Custom Cactus is located in Northern Colorado and specializes in custom designer cactus and unique and unusual specimens of many different cacti and succulents. 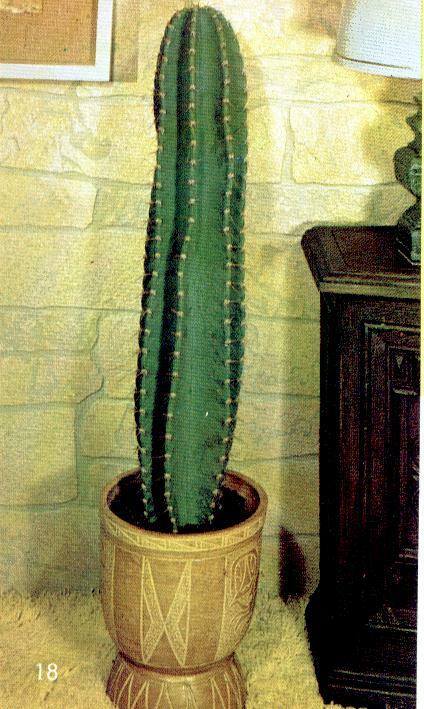 Custom Cactus also offers a re-potting service, using our plants or yours as well as our pots or yours! Custom Cactus will make housecalls........! For our "out of town" (;-) WWW Visitors, we offer cuttings and pre-packaged kits with cuttings and everything you need to start your very own cacti-guy. Contact the Order Department to order your Custom Cactus today! 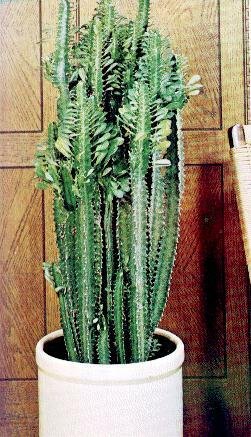 Euphorbia trigona, also called African Milk Tree. Opuntia sublata, also known as Eve's Pincushion. 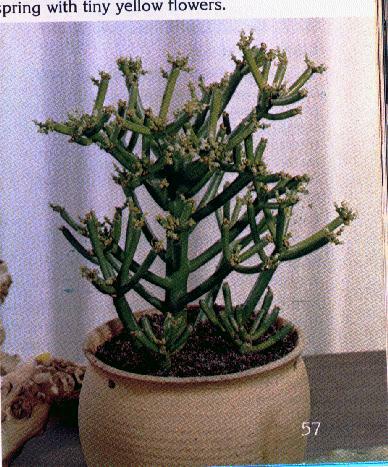 Euphorbia tirucali, often called the Pencil Succulent. 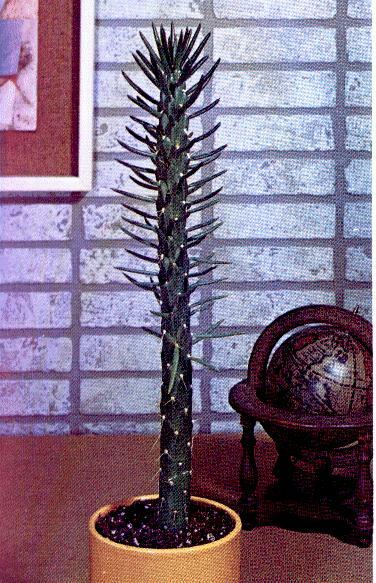 Cereus peruvianus, a columnar cactus.